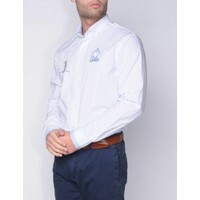 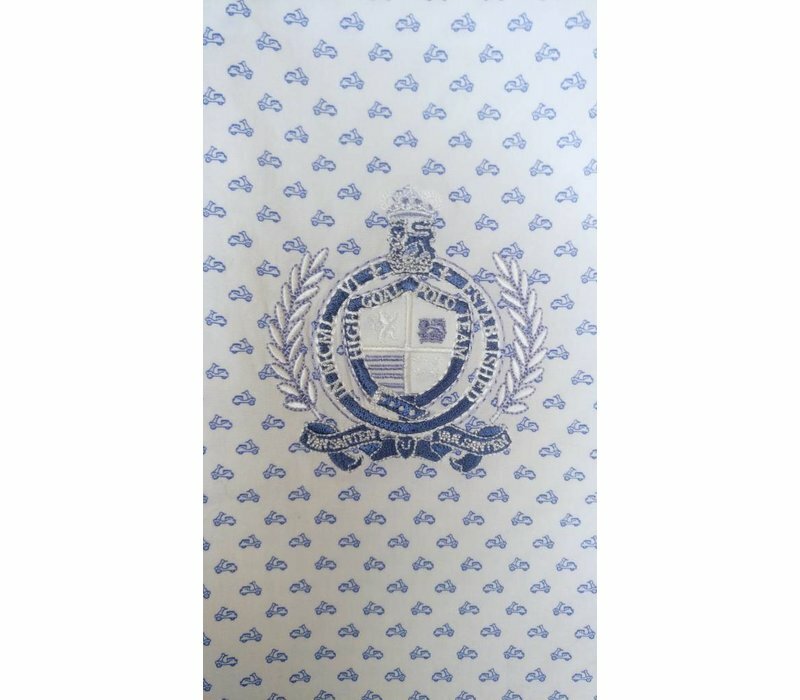 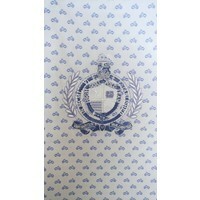 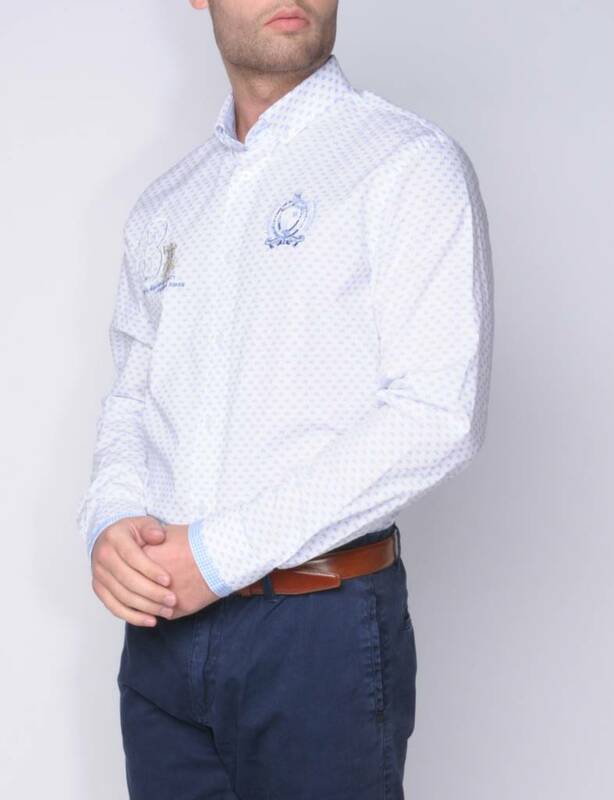 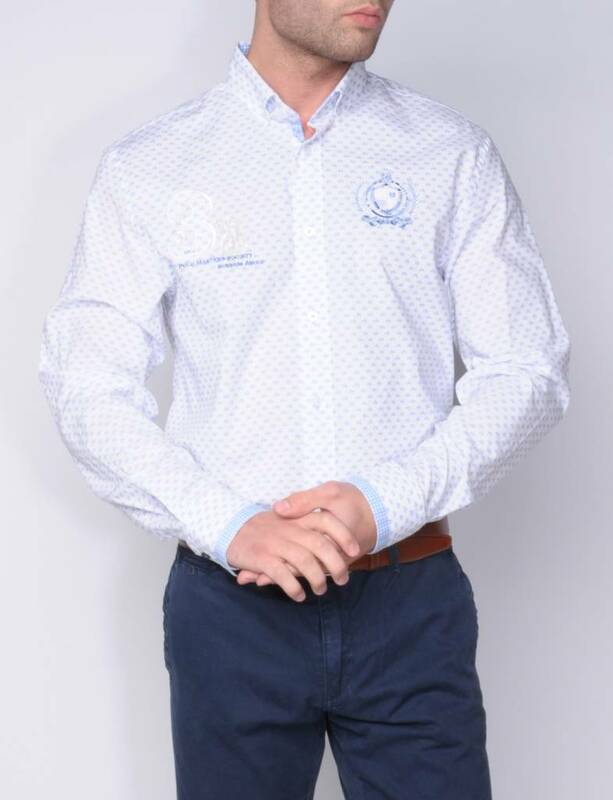 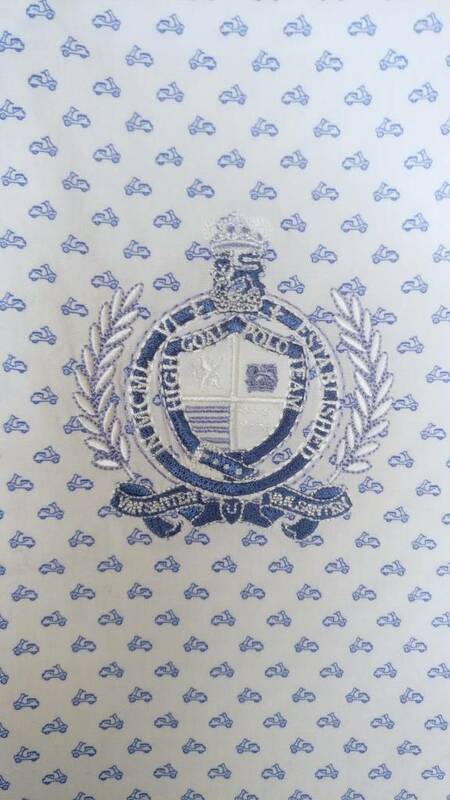 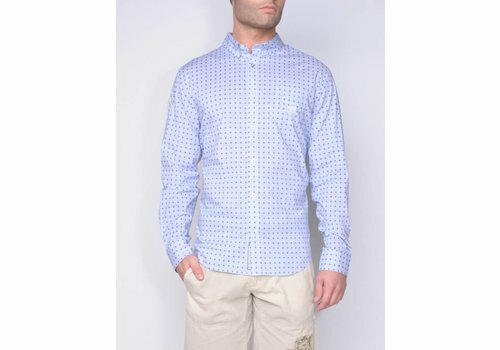 Trendy white shirt with a mini scooter print in middle blue. 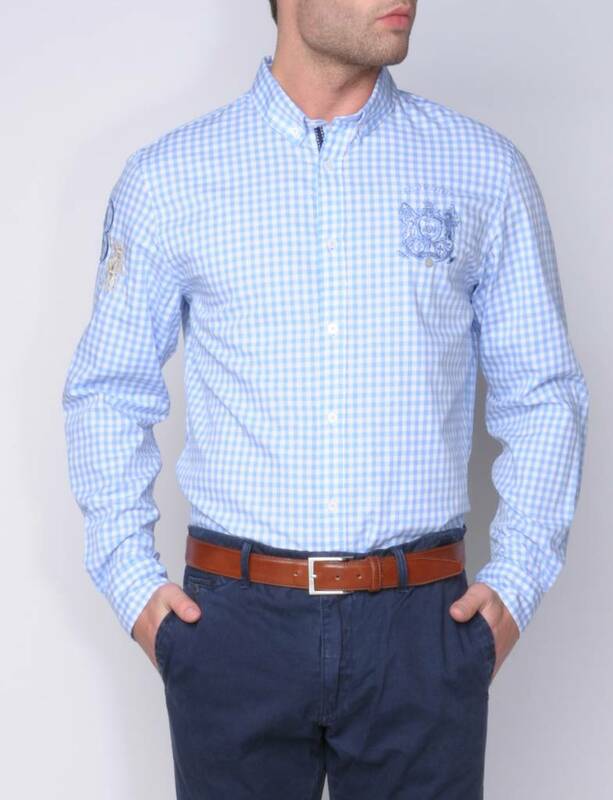 Small wide spread/button down. 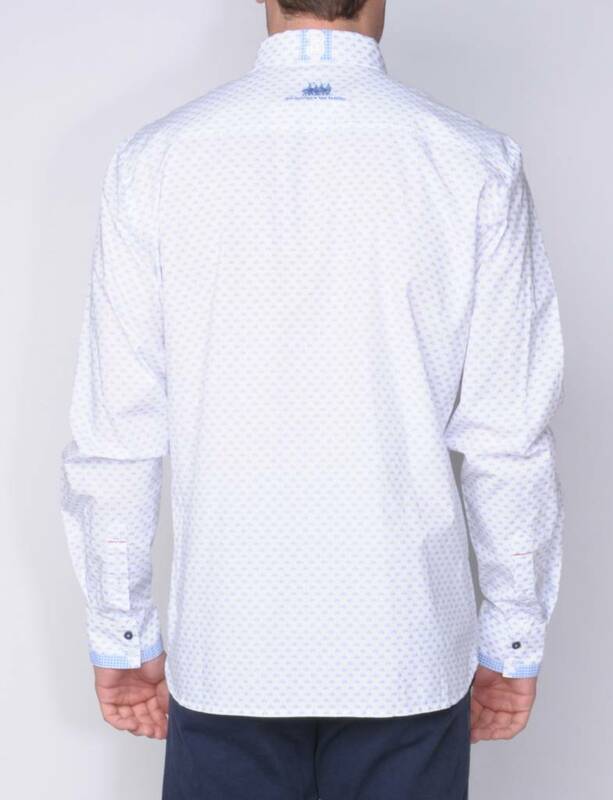 Inside collar,band on front closure, cuffs with contrast fabric. 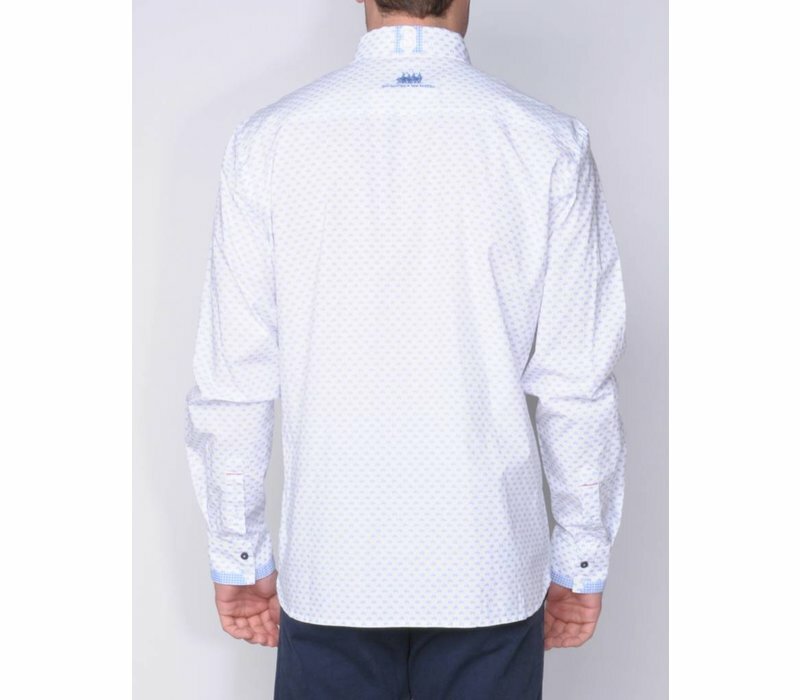 Embroideries and the use of contrast buttons make this shirt fashionable. 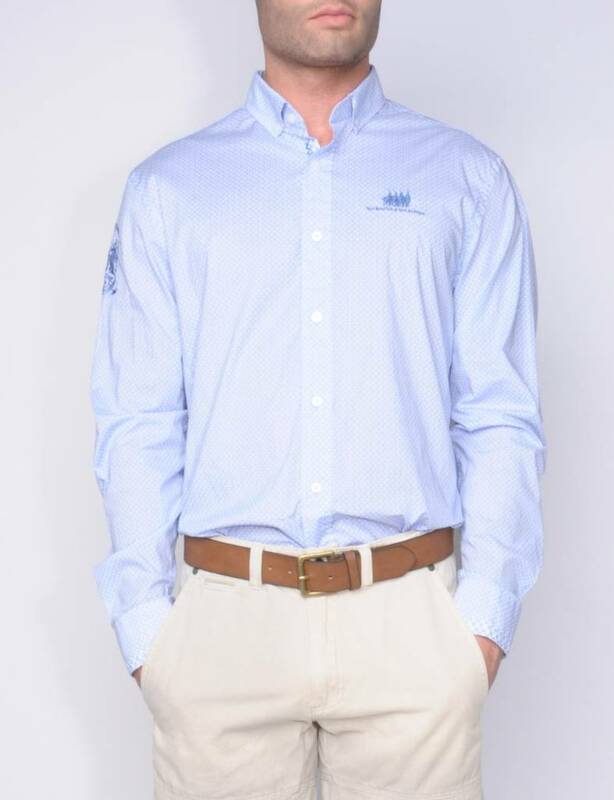 All time favorite, shirt in middle blue/white stripes, ' blind ' button down and chest pocket. 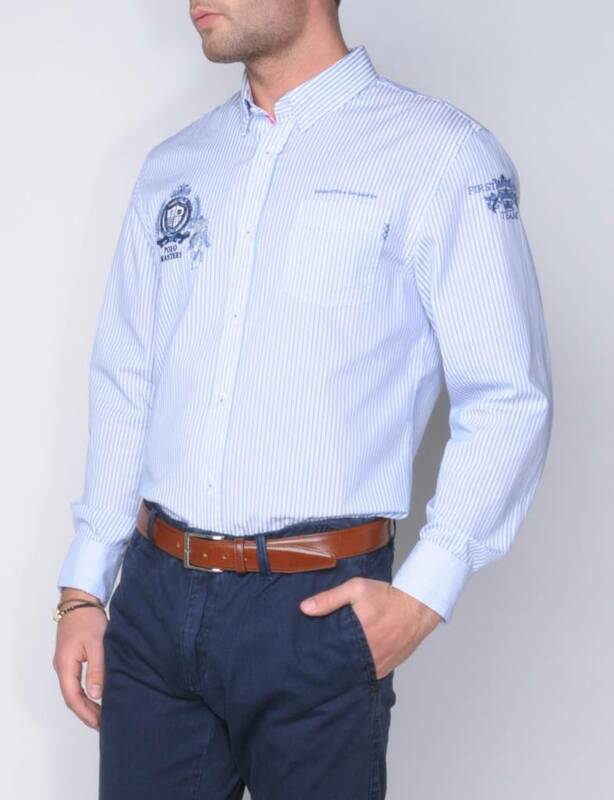 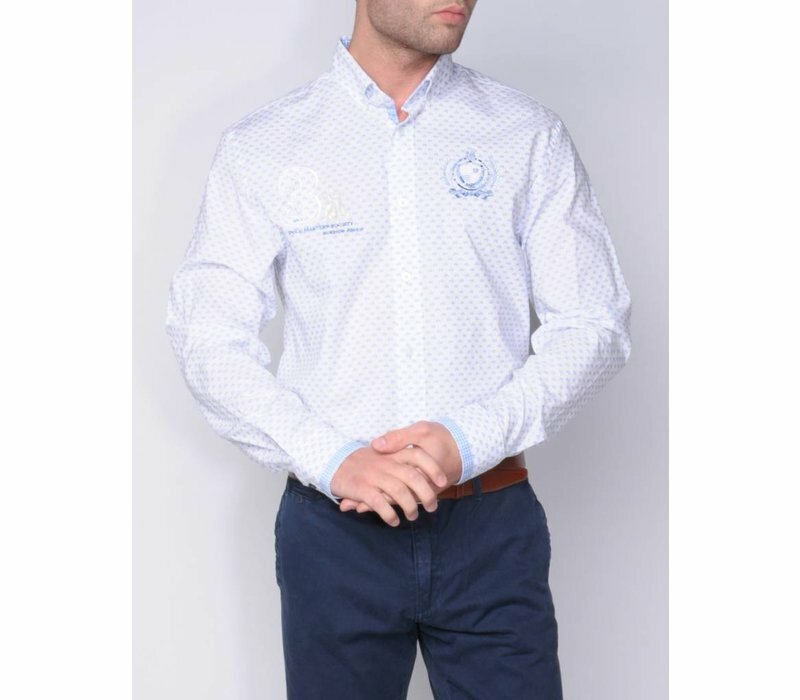 Contrast buttons, the use of different contrast fabrics and rich embroideries on front and sleeve give this shirt a classy look. 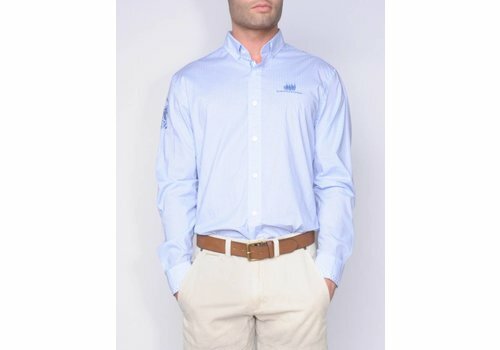 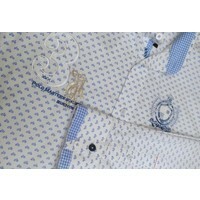 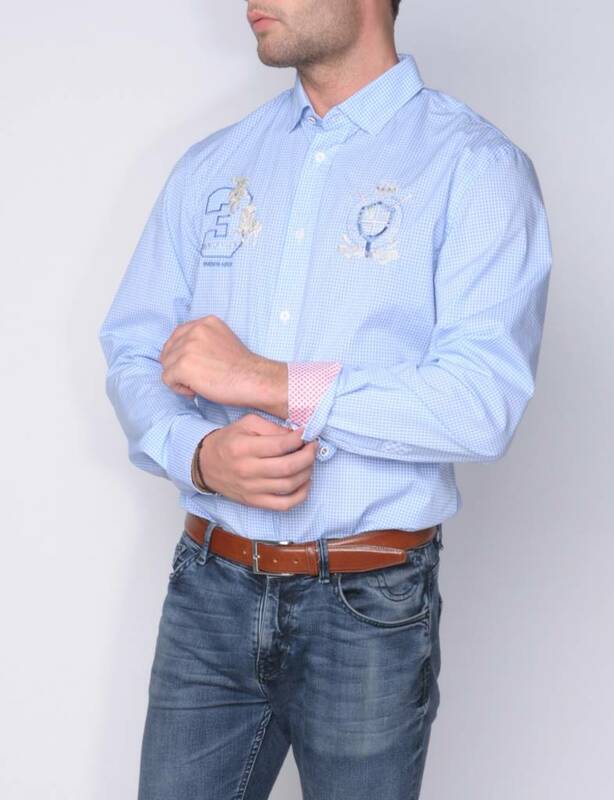 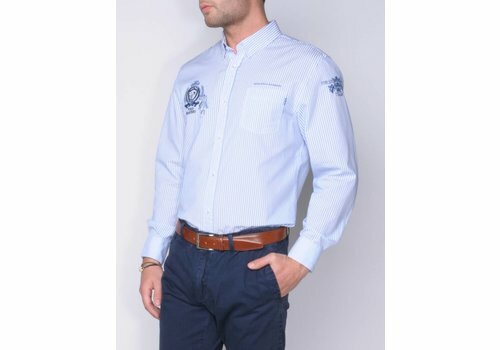 Shirt in a middle blue/white design with contrast fabrics at the closure/cuff/and inside collar. 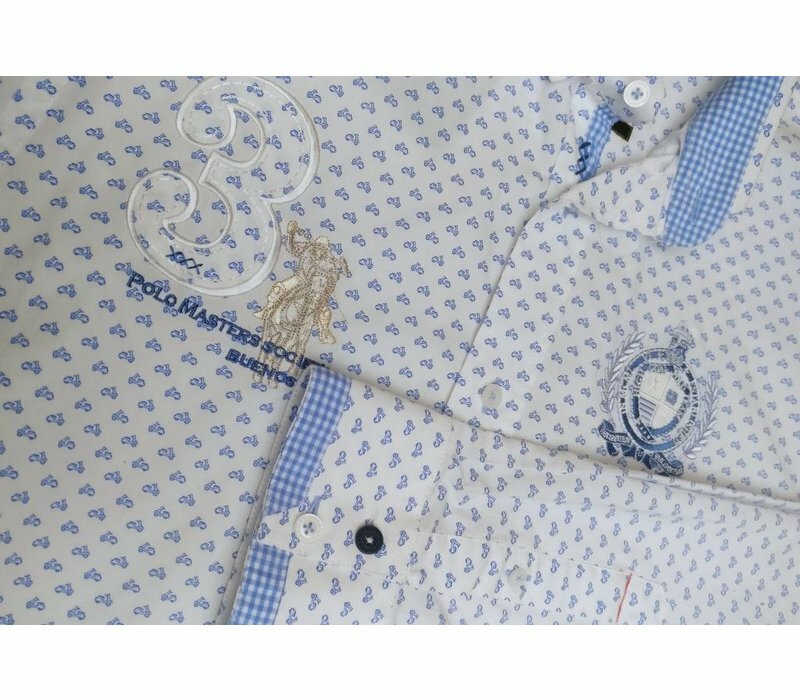 Contrast stitching, contrast buttonholes and unique ' Polo related ' embroideries on collar, sleeve and front. 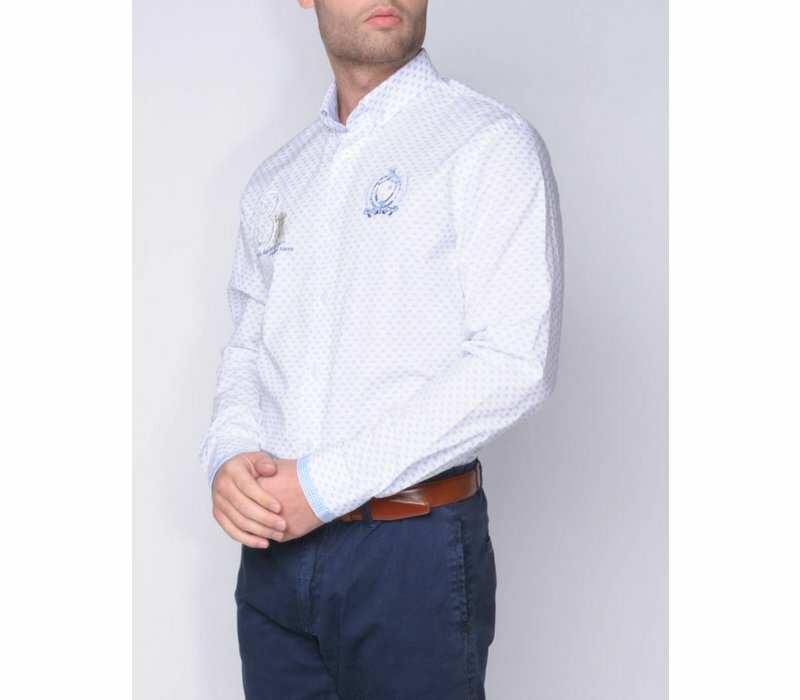 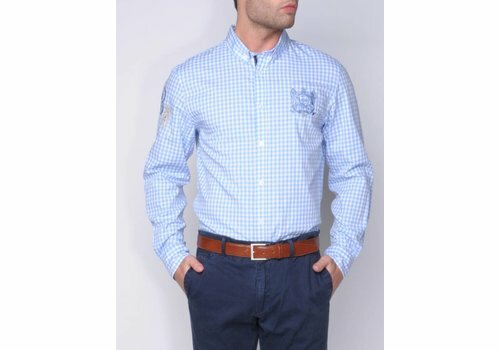 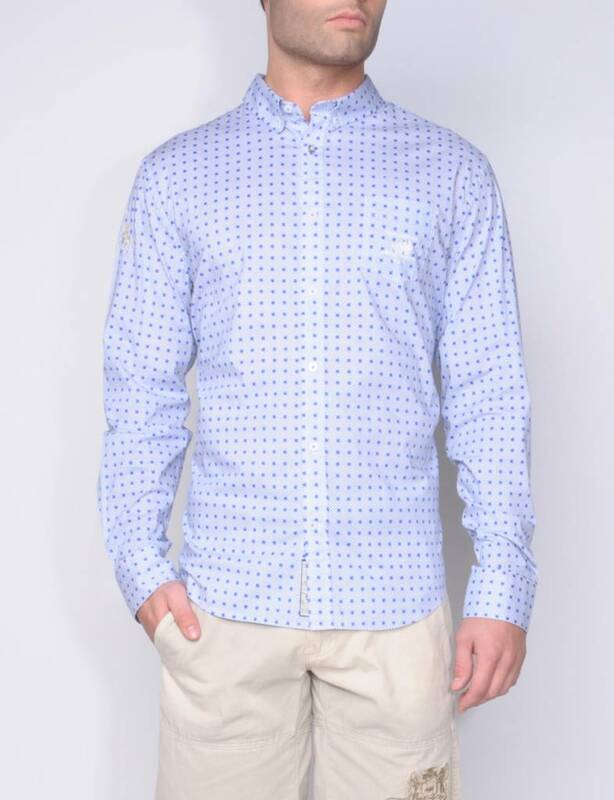 A ' must have ' shirt in a white/royal blue dot print with small button down.and nice details. 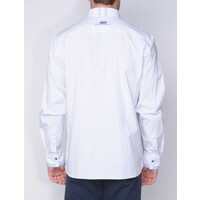 At sideslits, on the collar and cuff contrast fabrics. 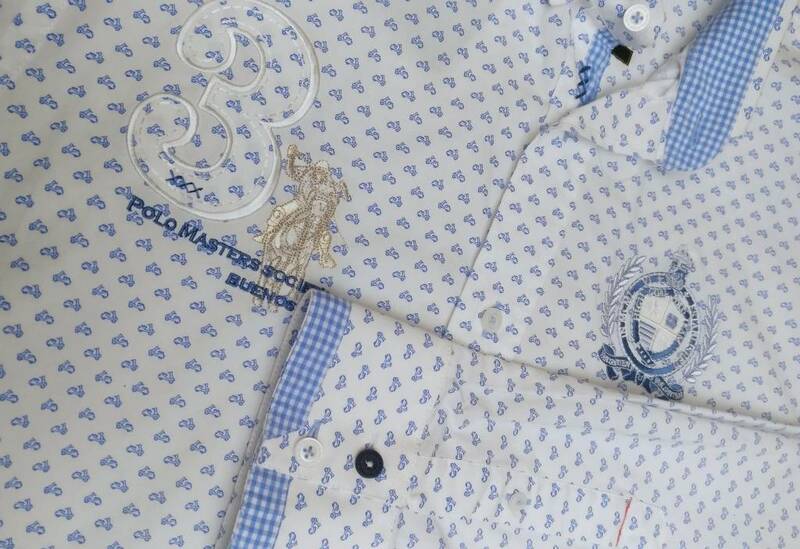 Striking contrast buttons and made unique with ' Polo related ' embroideries.